Eric Murphy’s Oct. 10 article revealing state Proposition 11 to be an industry-generated self-enriching perversion of participatory democracy was the gratifying story that was both a journalistic heavy lift — and heavily read. Without becoming bogged down in arcana, this article revealed that Prop. 11 was conceived and entirely funded by one ambulance company, AMR — and would save them millions in disputed legal costs while passing an ongoing burden onto California counties. Murphy also revealed a level of disorganization among this measure’s opponents, who failed to submit a rebuttal, meaning Prop. 11 essentially ran unopposed. This story demonstrated the versatility we strive for at Mission Local, covering not only breaking, day-to-day Mission-centric fare but also far-reaching and journalistically ambitious stories. Prop. 11 won, by the way, with 59.6 percent of the vote, statewide. In San Francisco, only 38.8 percent of voters went for it. So there’s that. On June 9, San Francisco police officer Josh Caballo shot and wounded a fleeing suspect in the back, squeezing off several shots on a North Beach street thick with revelers celebrating the Warriors’ second consecutive title. Thank you to all who have helped us reached our goal for the match campaign. This represents about a quarter of our budget so if you are a regular reader and have not contributed, consider doing so today. We need you. 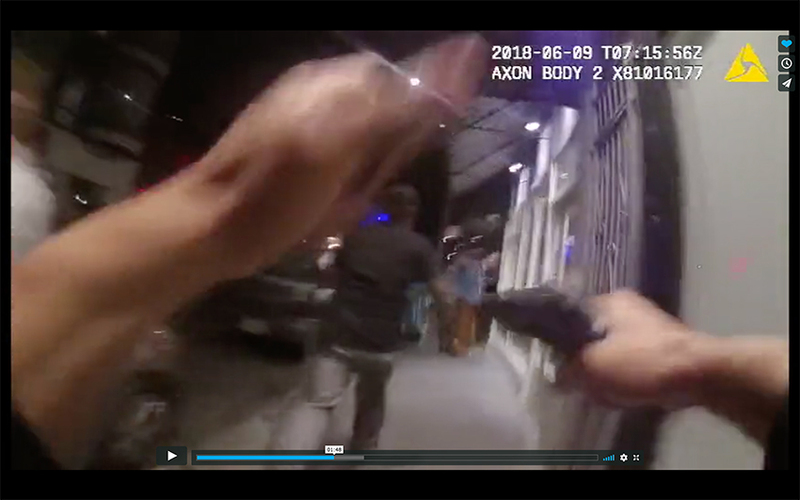 One June 20, Mission Local’s Mallory Newman broke down Caballo’s body-cam footage frame-by-frame in an article interspersed with observations from use-of-force experts and veteran SFPD cops. It’s a thorough examination of the limits of police policy and how well that policy is adhered to out in the field. On top of being informative and in-depth, Julian wrote the hell out of this one. It grabs you right from the get-go. Joe Eskenazi’s January piece on Mark Farrell being appointed as our caretaker mayor is not only my favorite news story for Mission Local — but my favorite story this year, period. It was the first news I read about the meeting, and the story was laid out such that the reader becomes slowly steeped in the pandemonium. Joe really got the whole story here, bouncing between supervisors’ offices, capturing their states of mind, and capturing the events in the chamber that devolved into cinematic calamity. Come to think of it, Bo Kovitz’s story on two formerly incarcerated Bayview residents and their challenges of reintegrating into society was equally mind-blowing, but in a completely different way. The fact that this story was going untold before Kovitz stepped foot into the Alice Griffith housing project in the Bayview only shows that the neighborhood and its less-newsworthy struggles are frequently neglected by the media. The photos, the audio clips, and especially the writing made this one of the best of the year. Artist, Rene Yanez. Photo by Lola M. Chavez. One of my favorite articles this year has to be Julian Mark’s story on Nancy Ana Lucero, a San Francisco native and schoolteacher who claims she unwillingly had her photograph used in an ad campaign. 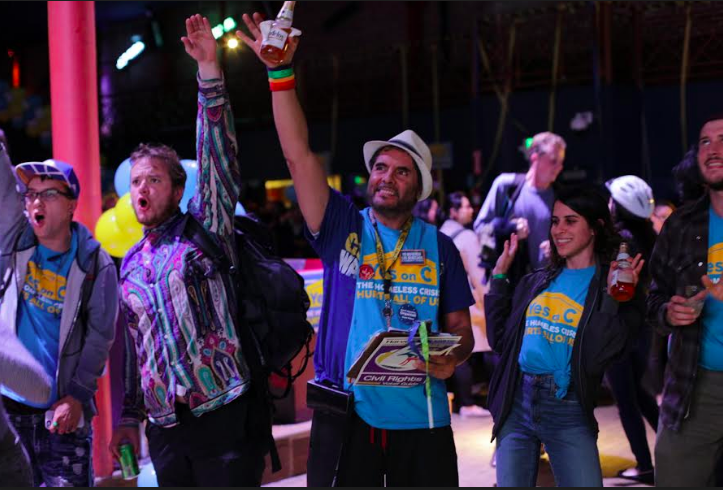 The campaign was run by Mission For All, a nonprofit organization funded by Maximus Real Estate partners, the would-be developers of the 1979 Mission St. project. Given our dire housing situation in the City (and the Bay), it was eye-opening to see how this kerfuffle has unfolded. A good follow-up to that was Mark’s Nov. 1 piece on the fallout after a proposed Planning Commission meeting in the Mission was canceled due to safety concerns. Following the cancelation, the project’s opponents and proponents began to point fingers at each other, and it left everyone in the middle wondering how warring groups of Mission natives could end up so polarized. 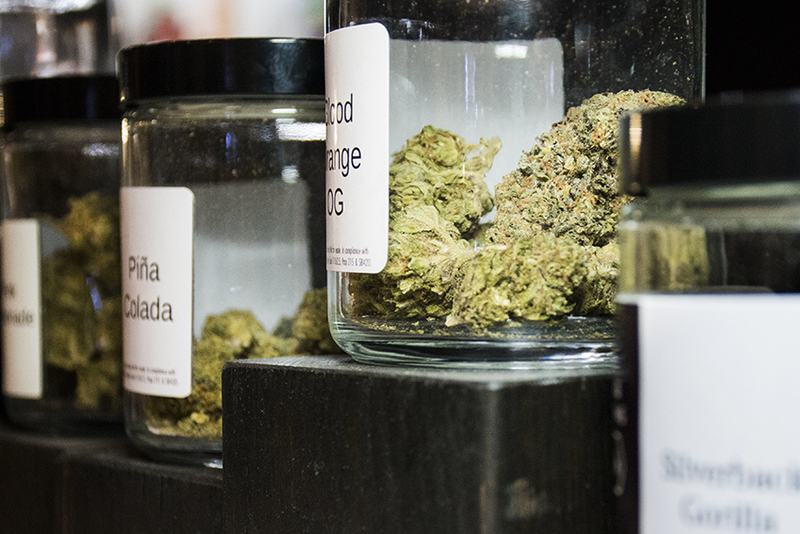 Lastly, I found the story on Shambala’s legal fight against the U.S. government before marijuana became legal in California to be a classic case of the little man sticking it to The Man. Julian Mark’s The Rise and Fall of La Victoria. “Sad and brutal,” Mark wrote in the compelling tale of a family business unable to make it to the third generation. I liked the story because it demonstrated how complex any family — and business — can be. For most of the year, Mark (when he wasn’t testing fried chicken sandwiches) jumped between development and police coverage, doing numerous and excellent stories on each, but he also had to stop and chronicle lives lost and wrote some lovely obituaries, including this one on Carlos Gutierrez, the 38-year-old co-founder of Homies Organizing the Mission to Empower Youth (HOMIES). 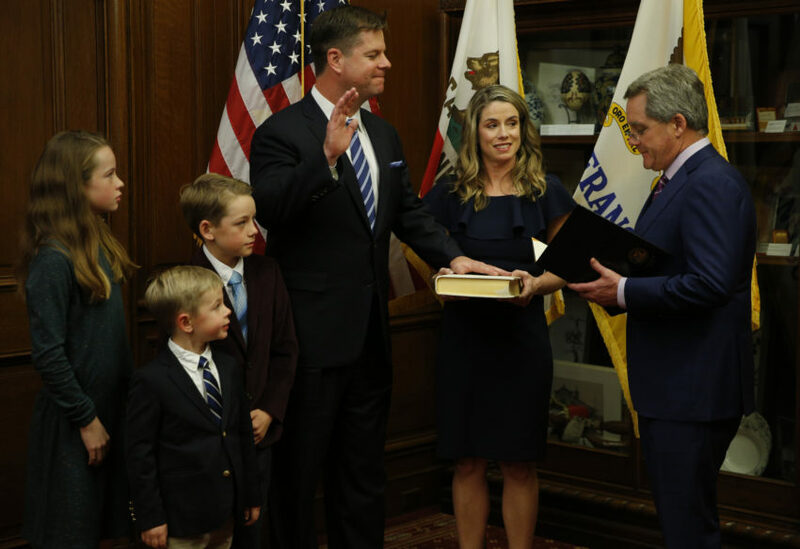 Mark Farrell is sworn in as interim mayor by City Attorney Dennis Herrera, as he stands with his wife and children at City Hall after being voted interim mayor by the board of supervisors, Tuesday, Jan. 23, 2018, in San Francisco, Calif. Photo by Santiago Mejia (Hearst Corporation). Abraham Rodriguez, our newest staff member, showed promise early on in this video done with Mallory Newman that profiled two barbers in the Mission — one old-school and one high-end — who sat in each other’s chairs for a cut. Smartest editorial decision this year? Hiring Joe to be our new Managing Editor. NextIn 2018, San Francisco made choices. In 2019, we’ll deal with them.